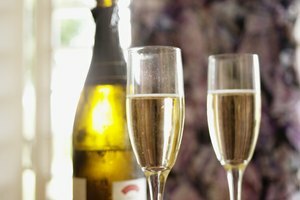 The means to building your own wine refrigerator may be as near as your garage, storage shed or basement, because an excellent basis for building a wine refrigerator is a mini fridge. Mini refrigerators can be found cheaply, as they're the refrigerator of choice in college dorm rooms everywhere. But they're also good little refrigerators, which is why they're the choice in college dorm rooms everywhere, and a little adjustment of the thermostat, or conversion with a external timer, produces a wine refrigerator that's just as good as a $200 to $400 "professional" version. Pull the rotary knob off the thermostat control that is inside the mini refrigerator. The calibration screw is a small screw next to the rotary control. Turn the calibration screw counterclockwise using a screw driver. Your goal is to determine which direction turns the compressor off and on. After 24 hours, take the interior temperature of the refrigerator. Make several small adjustments to the calibration screw until the interior temperature is 55 degrees Fahrenheit. This is the optimum temperature for storing wine. Buy both an external timer and a thermometer. Timers can be found in appliance hardware stores in the lighting section. Refrigerator thermometers are available in grocery stores. Install the timer. Plug your mini refrigerator's power cord into the timer. Next, plug the timer into a wall outlet. Turn the power setting inside the refrigerator to its lowest setting and place the thermometer inside the mini fridge. Allow the refrigerator to run, then take the temperature. 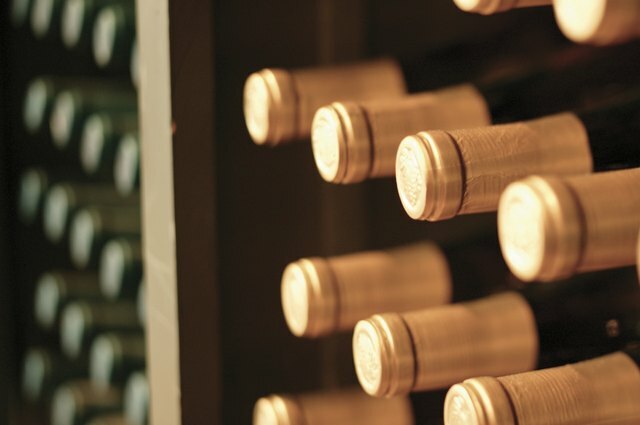 When 55 degrees Fahrenheit is reached, the temperature is correct for storing wine. Establish wine storage humidity. Refrigerators have low humidity by design; wine coolers are designed to keep humidity much higher than refrigerators at 70 percent. Use a hygrometer to measure moisture content; you may be able to find a hygrometer at a dollar store. Put an open container of liquid inside the mini fridge to increase the humidity. 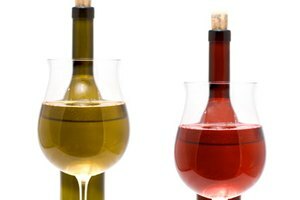 Use an inexpensive wine as an alternative to water because the viscosity of wine is different than water. Measure the wine or water temperature. This is more accurate than measuring air temperature, since your objective is to keep the wine liquid at 55 degrees. A battery-operated fan can be placed in the refrigerator compartment to equalize overall interior temperature. Find battery-operated fans in thrift stores and RV stores. Adjust the calibration screw to regulate on/off cycles with temperature changes in your home if that changes with the seasons. Martin Wolfson owned an agency for 45 years. He began writing in 1965, with industrial advertising clients, now called B2B advertising. He was published in hundreds of trade magazines, most prominently for logo design and advertising for Fleetwood Enterprises. His Web writing has been published by Demand Studios. 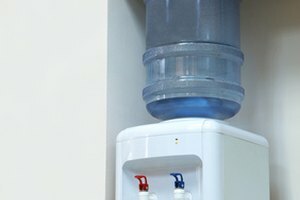 How Can I Make My Water Cooler Colder?